Seconds ago we finished our last shot with Gandalf. The end of an incredible adventure that began in 1999. I'm feeling very sad right now. For McKellen this is the end of an adventure that began 14-years-ago. It was October of 1999 when Ian first stepped on to the Lord of the Rings set to film his first scenes in the acclaimed trilogy. 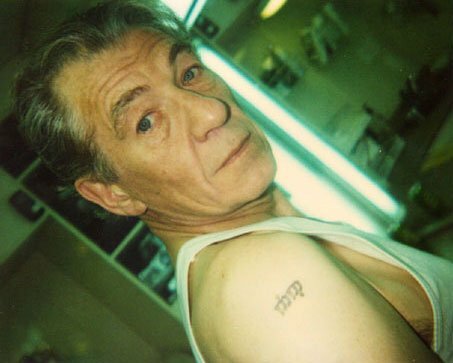 It’s unlikely he would have predicted he’d still be playing the character of Gandalf, in yet another trilogy, all the way into 2013. Ian McKellen was 59-years-old when he started filming Rings back in 1999 and now at the completion of Hobbit he’s 74. At that age it seems unlikely he’ll ever set foot in Middle Earth again and so this is more than just an end to Ian’s time on The Hobbit in a way it’s also goodbye to Gandalf, one of the most iconic movie characters of all time. It’s hard to imagine him being played by anyone else. Hopefully, he never will be. Thanks for the memories, Sir Ian.